The deluxe falimily room is suitable for a family with two children. 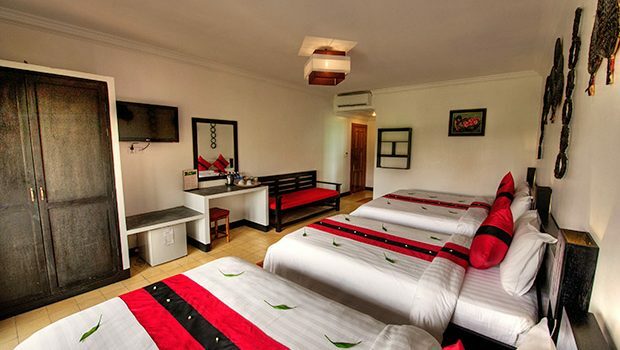 This type of room consist of one king size bed for parent and two single beds for children. There are two family rooms available, one with pool view and another one is garden view in the quiet location.